Viewed as a moving meditation, callisthenic and healing art, practical guidance is aligned with integrated breathing, basic metaphysical knowledge, philosophy and symbolism for personal/spiritual development. The inspirational allegory of evolution inherent in the long Yang form (via Choy Hawk-peng, HK) is explained, reviving the cycle’s largely lost inner meaning. 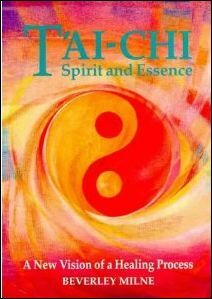 In addition to basics, 3 significant offerings are – unique clairvoyant observations of aura colours and energies during Tai-Chi practice – a revelation, the practice of form-cycle variations, and recorded experiences of advanced students. 150 pp inc. diagrams and colour plates.